The US Congress has let a deadline pass for additional sanctions on Iran. The 60-day period for new measures expired on Tuesday without any sign of Congressional action. 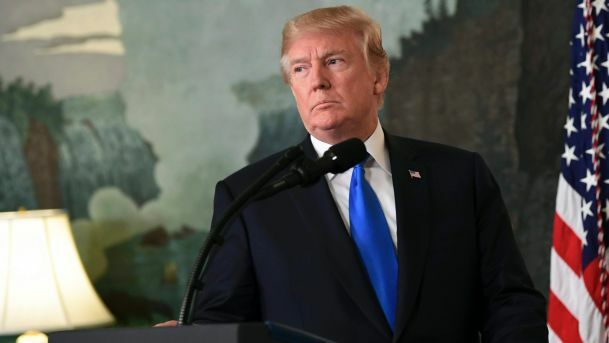 Donald Trump set the timetable in motion on October 13 when he refused to certify Iran’s compliance with the July 2015 nuclear deal and denounced the “dictatorship”. But, despite the rhetoric, Trump did not announce US withdrawal from the nuclear agreement and he did not impose new sanctions through executive order. Republicans in Congress have still not set markers over Iran’s nuclear and ballistic missile programs upon which harsher sanctions can be based. Congressional aides insisted that there is still time for the measure before a 90-day certification deadline in January. The US has faced the difficulty of isolating itself if it imposes additional sanctions. European leaders — including Britain, France, and Germany, all signatories of the July 2015 agreement — stayed clear of Trump’s October announcement and reaffirmed their support for the nuclear deal. On Tuesday, Iranian State media highlighted remarks by European Union foreign policy chief Federica Mogherini that renegotiation of the deal is “simply not an option”. We have not announced any intention to leave the JCPOA at this time. And we will continue to uphold our JCPOA commitments. We won’t comment on any draft legislation, but we will continue to work with Congress to address the JCPOA’s serious flaws. ur European counterparts have made clear their unwavering support for the JCPOA. At the same time, they have made it clear, based on their own judgments, that a concerted transatlantic effort is necessary to reduce regional instability, halt ballistic missile development, and address human rights violations. We look forward to deepening this collaboration in the coming months.